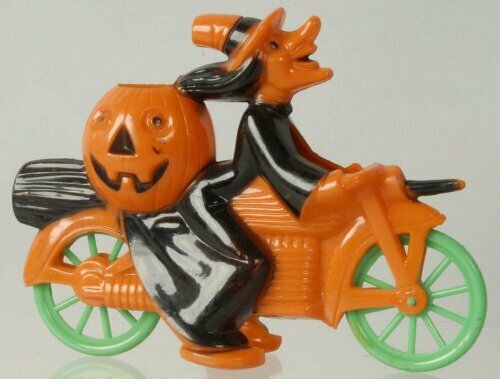 Witch biker on pumpkin powered moto. Dr Who? Here’s Matt Smith, the 11th incarnation of the Gallifreyan traveler of the space-time continuum aboard a Bonneville with his latest companion Clara Oswald, played by Jenna Louise Coleman. Typical mode of transport is of course the policebox disguised TARDIS but this’ll do in a pinch. Daleks, Cybermen or Sontarans be damned! After pie I do like a slice of cake: so when I spotted this baked and iced special my attention was grabbed and hunger piqued. 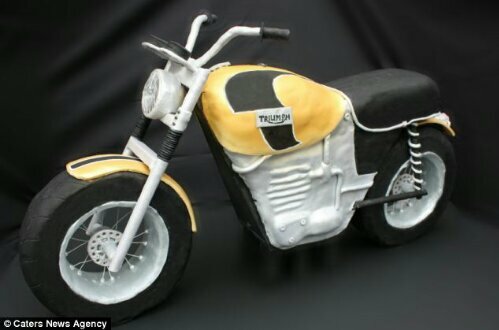 Blown them candles out and slice it up! 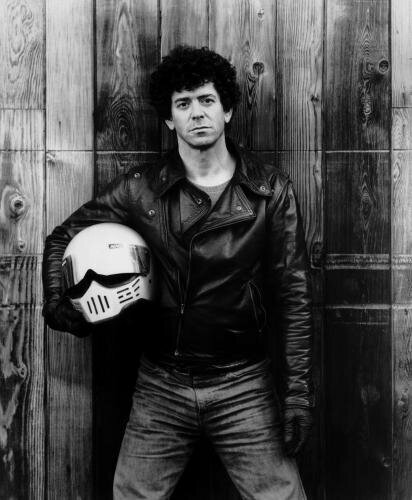 Lou Reed 1942-2013. A true music legend passed yesterday; his music grabbed you by the throat and hammered its beat into you with piercing lyrics that had heft to them. Early work from Andy Warhols Factory with The Velvet Underground was seminal to any budding HiFi owners collection. Backed by the indomitable John Cale, Sterling Morrison, & Mo Tucker, as well as the sultry backing vocals of Nico; their music puts the Vee in Live. Reed as a solo artist: the poet-musician with knife-edge lyrics went on to create timeless numbers which saw rerelease success two decades on. I was fortunate to see TVU in their original line-up at an unmuddy Glastonbury in ’93. I love that GPZ so much, you know that I could kiss her. 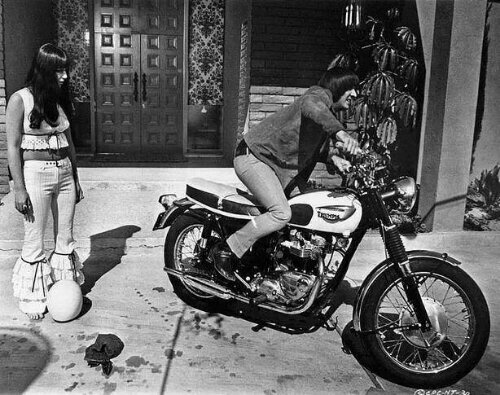 Sixties duo of the moment Sonny & Cher were the darlings of love; a clean cut reaction and sober reaction to the acid dazed counterculture. TV acting a politics ensued but that’s another story not to be covered here…. However Mr Bono likes to look cool, especially when not wearing his sheepskin vest… .. Go on kick ‘er over lad! Watch out for any trees Sonny! End o’ another week and the weekend is upoan us. So hae a braw time whurever ye are! 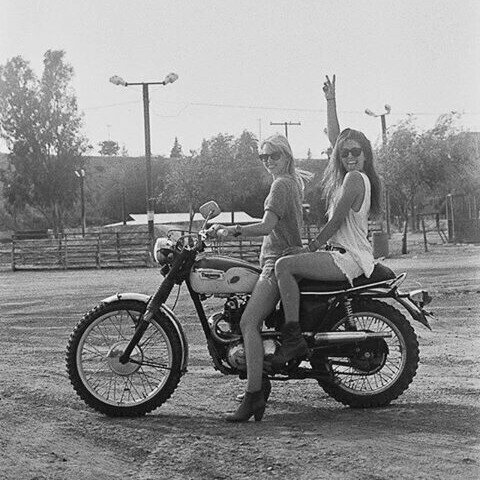 A pair o’ lassies on a wee Triumph Cubbie motorbike. 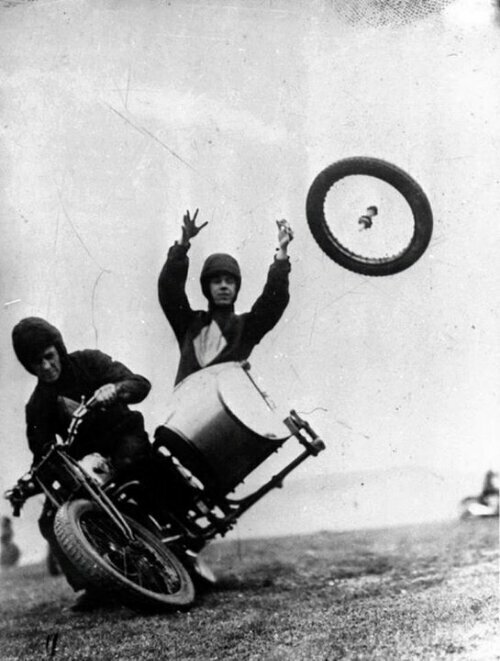 Dinnae get yer kilt snagged an thae sprockets! A combination chairs occupant needs a captain to travel and explore the highway ahead: and I have The Best! It’s our fifteenth anniversary today and we’re enjoying our ‘motorcycle and sidecar’ trip of life.. miles and miles behind and so many more ahead. 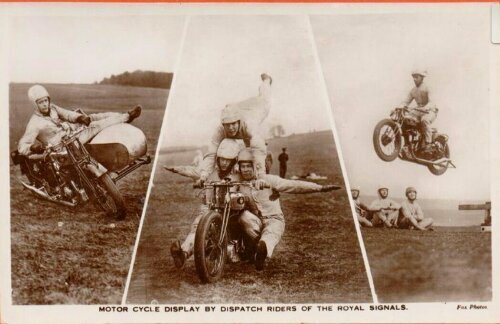 We’ve covered The White Helmets display team before: those finely balanced or overladen Triumph riders of the Royal Corps of Signals. Here a few more vintage images of early thrillery . . . 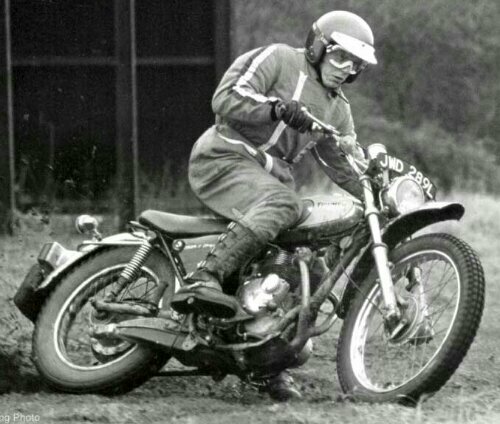 Remember these are motos from the thirties so are lacking in oomph by modern standards (or even 70’s Triumph power) as well as being heavier machines… So some of these exploits need a certain level of daredevil slant. 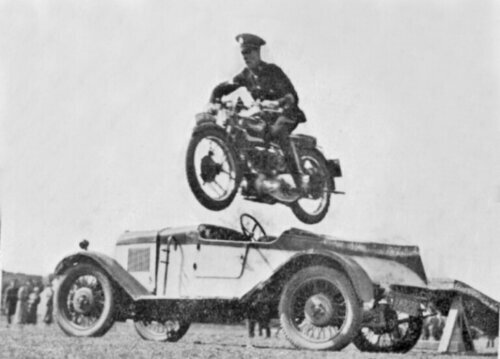 Flying over the cars to show off gravity defying deeds too. The wheel swap is a classic though- here caught mid heave. Keep ‘er steady capt’n! 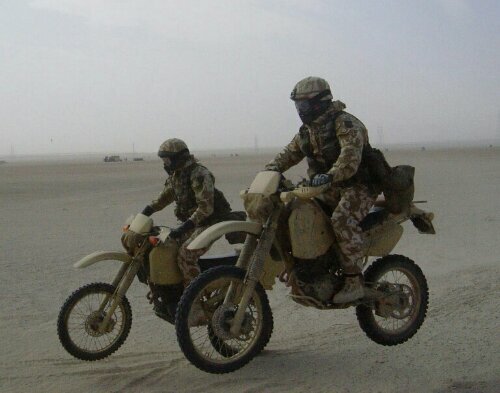 All good stuff but the lads and lasses of The ‘ Signals still keep up their duty at the sharp end of military worldwide action setting up and maintaining critical telecommunications. Usually first in. 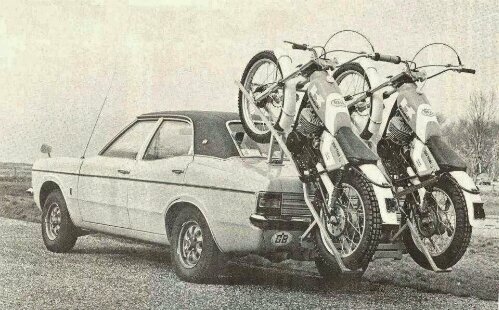 How to haul a pair of dirt bikes seventies style…Mk III Ford Cortina. 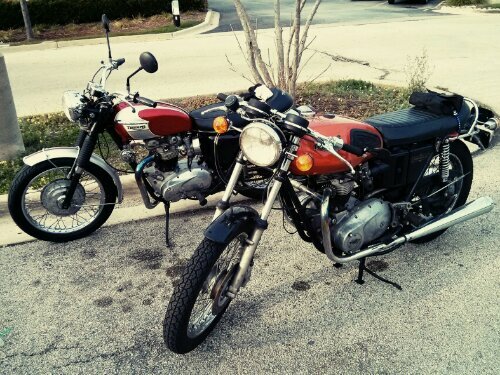 The Kawasaki’s are ready for rural green lane shenanigans. Might need some heavier rear shocks there Harry! 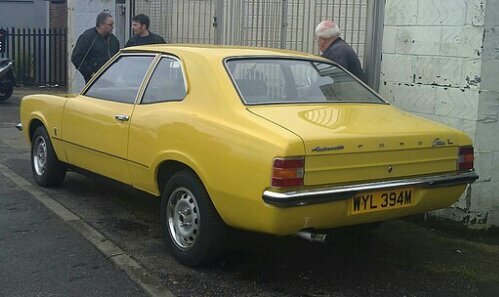 Growing up my pa had a yellow Mk 3. Banana yellow at that! 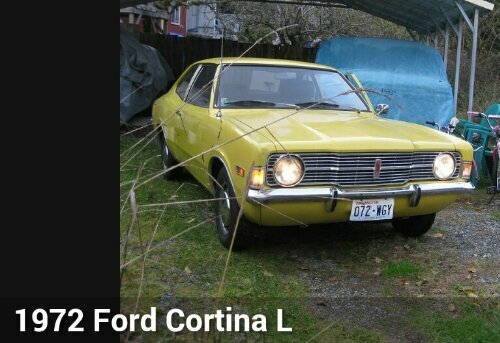 I remember the center console eight-track playing a Simon & Garfunkel cartridge. 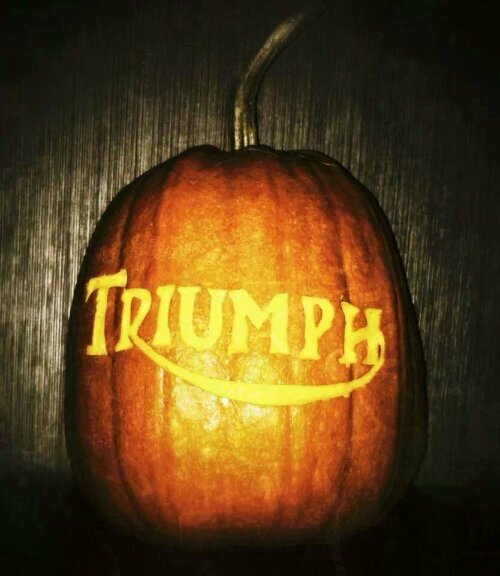 Autumn weather can be questionable at times… Especially when trying to grab a late season ride. A mix of gray skies, spitting rain with an occasional breath of pale sun followed our short ride north this afternoon. 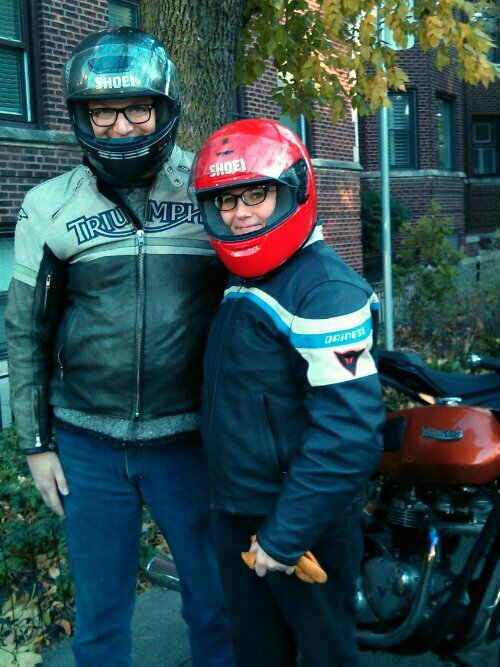 The bikes were raring to go too; seen here whilst we stop for a warming pumpkin spice latte. Smiles abound with fall color’d roads though! 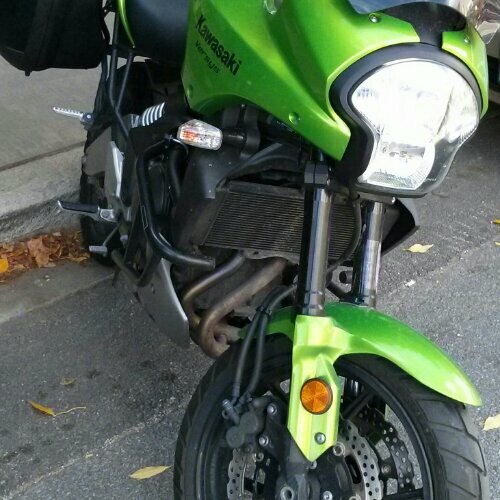 Versatile Green Kawasaki: out and about in the South Side this travel worthy Kwak appealed to my senses. 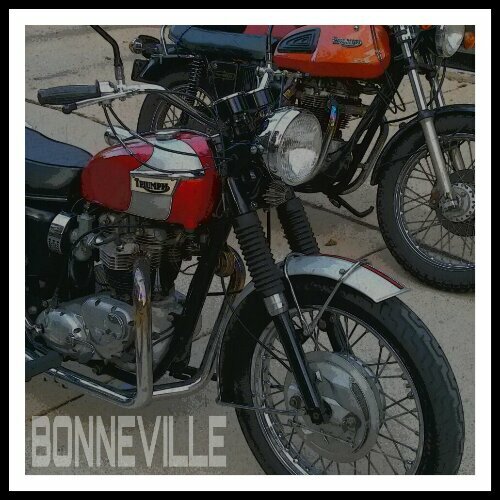 Its their middleweight parallel twin 650 with a good upright stance ready for the open road. 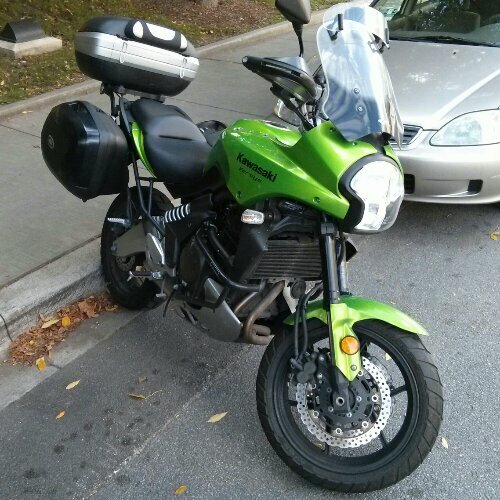 This owner has added suitable panniers and top box for toting ‘stuff’. 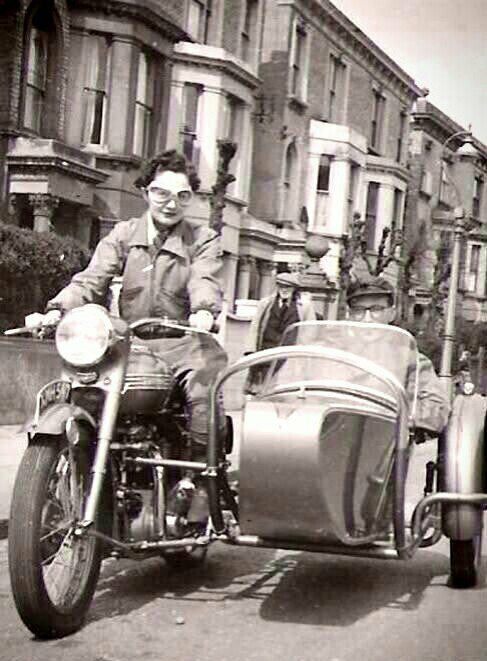 Tall windscreen; big lights, twin disc front stoppers, engine guard, knuckle protectors: just needs a tankful and a tariff destination. 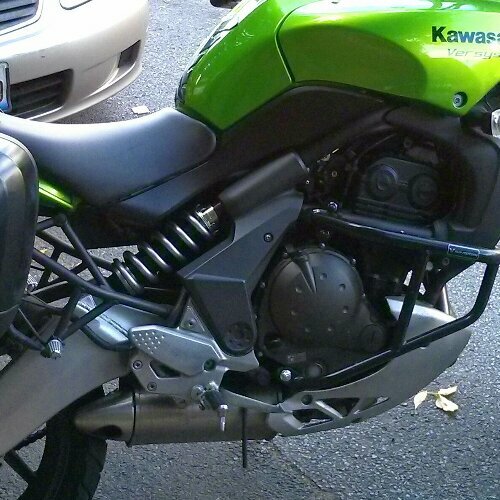 The name Versys is a portmanteau of Versatile System: good name! 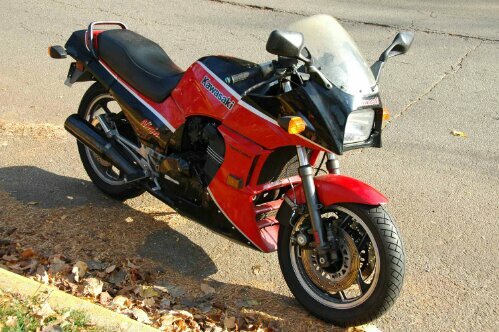 Eight grand and she’s yours! Not bad! 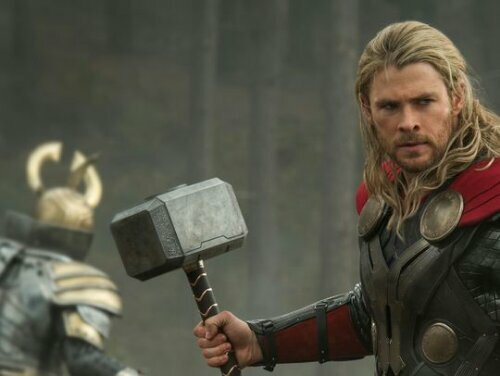 The leeward side of hump-day: given great prominence in Norse mythology to the God of Thunder – Thor. 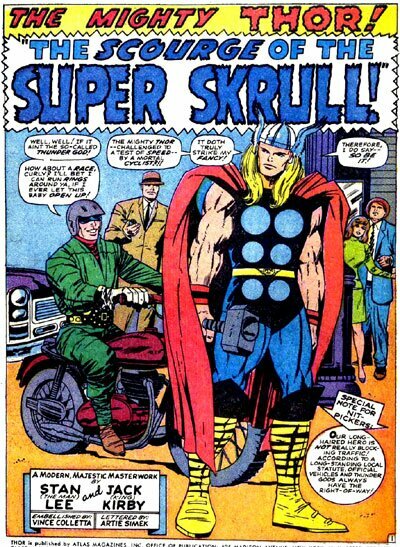 Comic book giants Stan Lee & Jack Kirby saw him and his Hammer Mjolnir, as a superb character created in 1962 to illustrate in their Marvel publications. Blonde locks, bulging biceps, strength beyond ken. You didn’t stand in his way! So why would to take him on in a feat of strength? 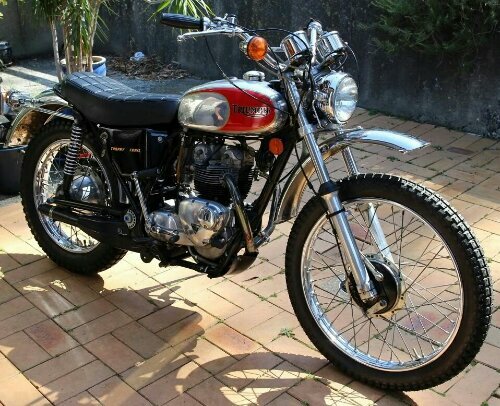 This biker thinks he can try this on – it’ll end in tears – on what looks like an early BSA Lightning unit twin itself the sportiest ride of the day. 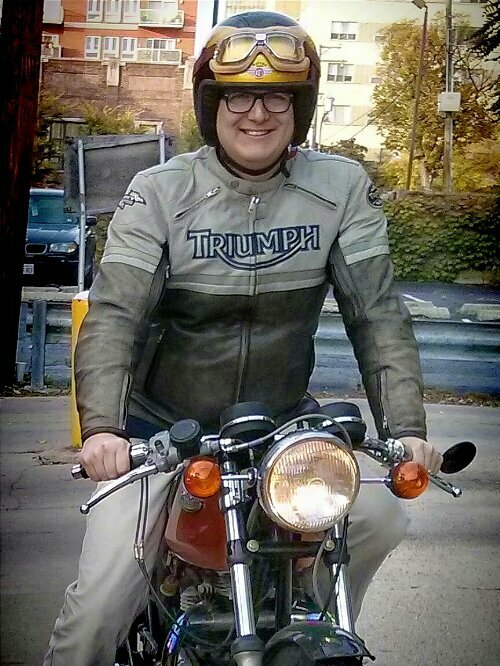 He also knows what a cool moto is: Triumph. 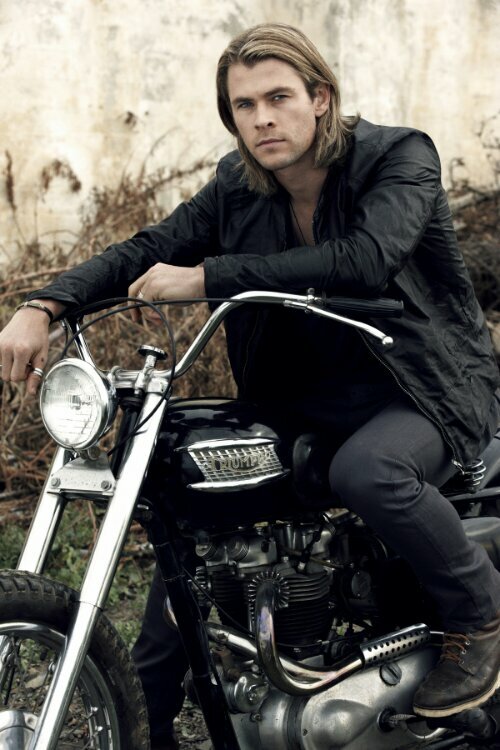 Here looking moody on a 60’s bobb’d bike.